If you want to sell online, you need to get a lot of pieces in motion at the same time. Online Marketing Coach can guide you so you’re successful with your Internet sales. Some e-commerce web sites have severe usability issues and visitors will run away to other online stores. Others have credibility issues with no testimonials. And it’s surprising how many small businesses try to win over buyers without giving them extra incentives to buy. We can help you with product categories, design, user cues, simple check-out and content strategies that support your paid search and organic search strategies. Your product feeds will be critical as well to expand your presence. For ROI, we can help you maximize your conversions through initial design priorities and adjustments. Do you have e-commerce questions? Contact us today. Learn about our e-commerce process and how we work to get the best ROI for our clients. 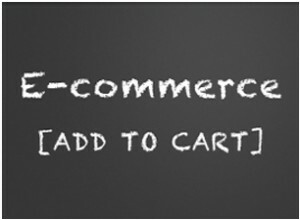 Get some basic e-commerce tips that can help your business improve online sales.